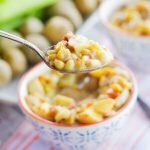 This harvest potato corn chowder features crunchy carrots, crisp celery, salty pancetta and bite-size honey gold potatoes. It’s the perfect way to stay warm this winter. Tender chunks of potato, crispy bits of pancetta, summer sweet crisp corn. Couldn’t you go for a bowl of that right about now? It’s cold in Ohio. It’s barely winter and I’m already wishful for spring. These are the days when you just want to hunker down and stay warm. We eat a lot of homemade soups this time of year. There something so comforting about a steamy bowl of homemade soup or chowder. After creating soups from scratch I just can’t go back to the store-bought stuff. Homemade just taste so much better and is so much healthier for you. This recipe takes no time at all to prepare. Crunchy carrots, crisp celery and salty pancetta add great flavor to this chowder. 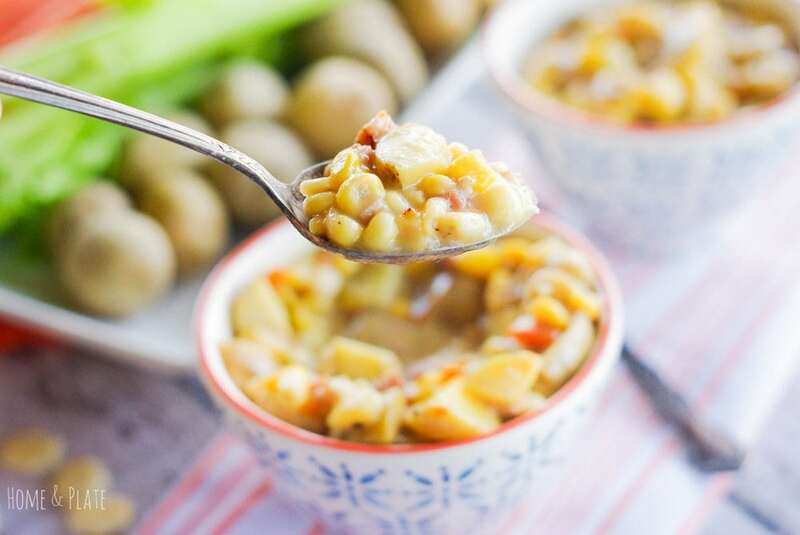 I used bite-size honey gold potatoes for this recipe and simply cleaned, quartered and tossed them into the soup with a bag of frozen sweet summer corn. Fresh corn from the cob would work great here too. Adding a small amount of heavy cream gives the soup just the right amount of creaminess and consistency. Every spoonful is sweet and salty and your mouth and tummy will thank you. Be sure to scroll down to see all my homemade soups. 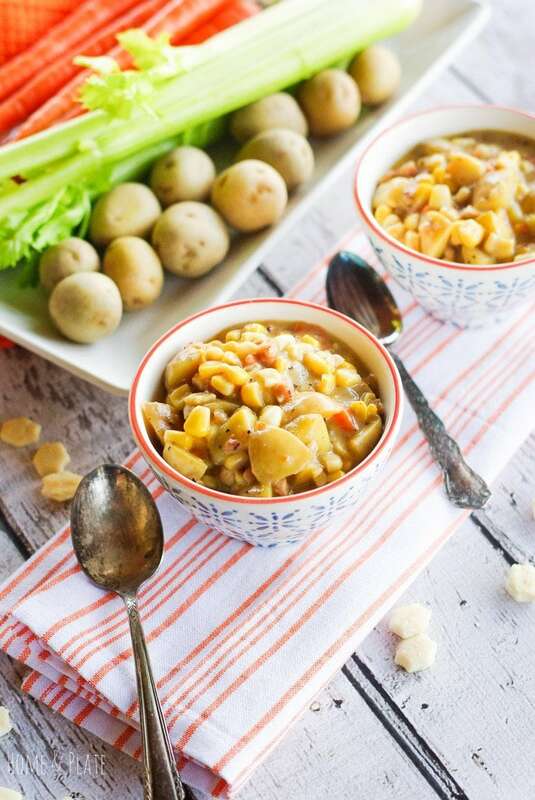 This harvest potato corn chowder features crunchy carrots, crisp celery, salty pancetta and bite-size honey gold potatoes. It's the perfect way to stay warm this winter. In a large stock pot sauté the pancetta until almost crispy. Add the onion, carrot and celery and continue to cook until the vegetables are soft. Add the flour and stir for about one minute to incorporate into the vegetables. Add the chicken stock, cream, potatoes and corn. Season with kosher salt and fresh ground pepper. Add 1 teaspoon of fresh thyme leaves to the pot and allow the chowder to simmer for about 30 minutes before serving. 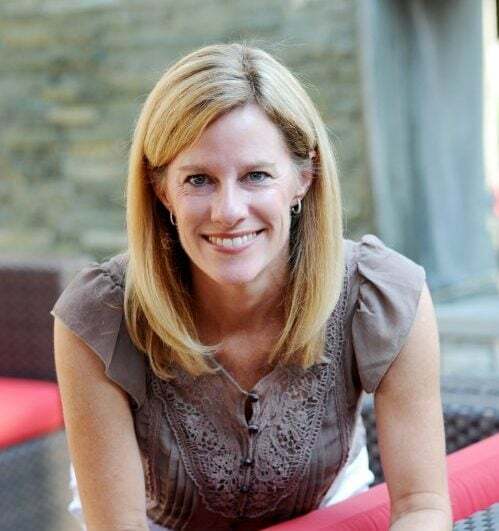 After an unseasonably warm winter here in Boston. . .the cold has finally settled in. Like you, I now find that I am constantly craving warm soups to help me feel nice and toasty. And can I say that this soup is comfort food at its finest? You can never go wrong with a good chowder and I love the addition of pancetta (I’ve been working out a lot and find myself constantly craving salt) in this chowder. So tasty. What a warm and hearty chowder; perfect for this cold weather. 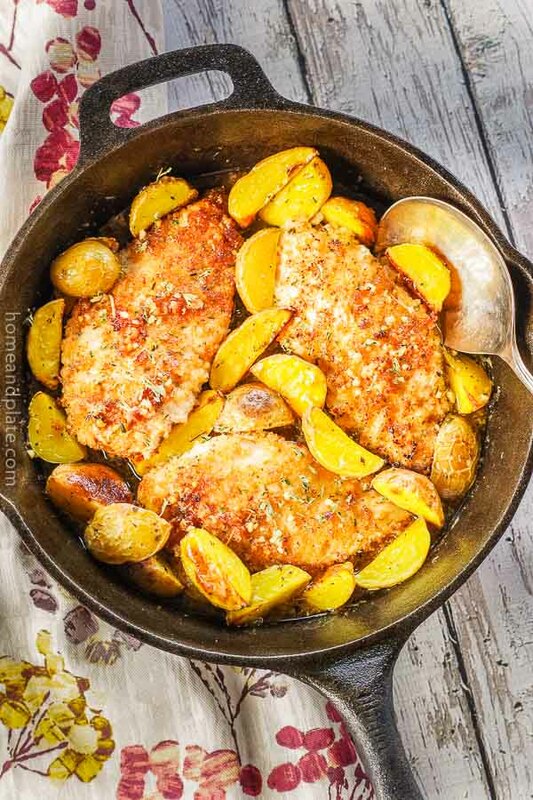 Our whole family will enjoy this recipe! Thanks so much for sharing. You bet. Happy to share comfort soups that are delicious and perfect for chilly weather. I’m in complete agreement! 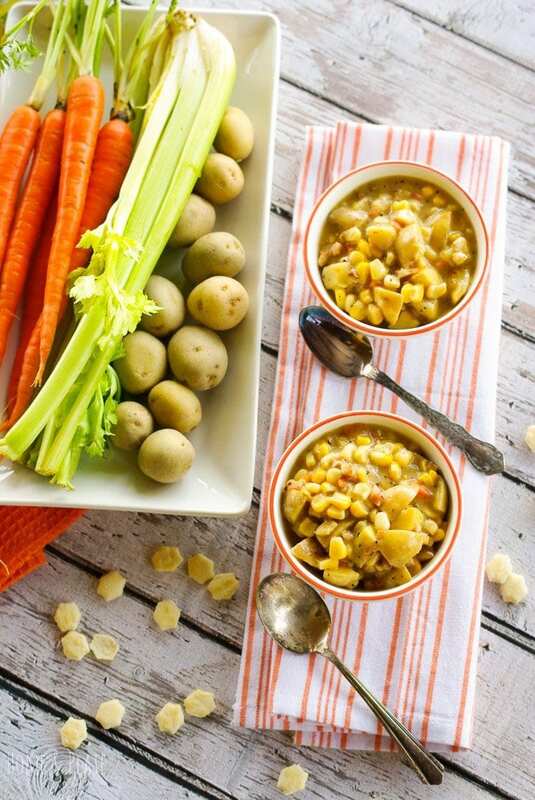 Soups like this creamy chowder are perfect fro the cold winter months. And yes, homemade is best in nutrition and flavor! 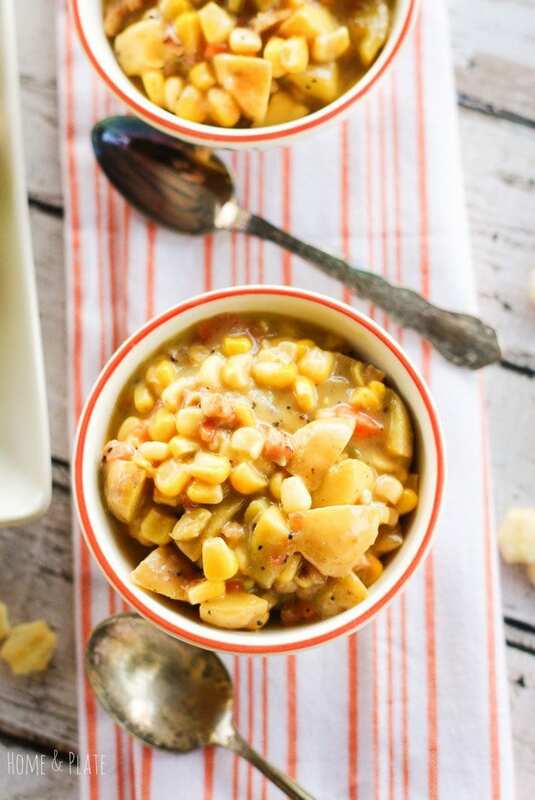 Your potato corn chowder is going to be in my kitchen soon! 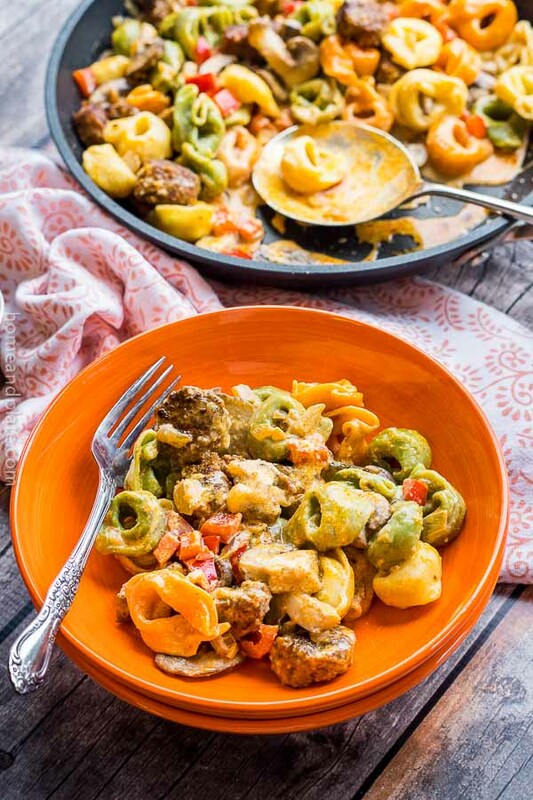 Hearty and delicious at the same time. Thanks Oana! This looks so warm and comforting! Where I live we’re expecting some snow this afternoon and I think this would make the perfect dinner! 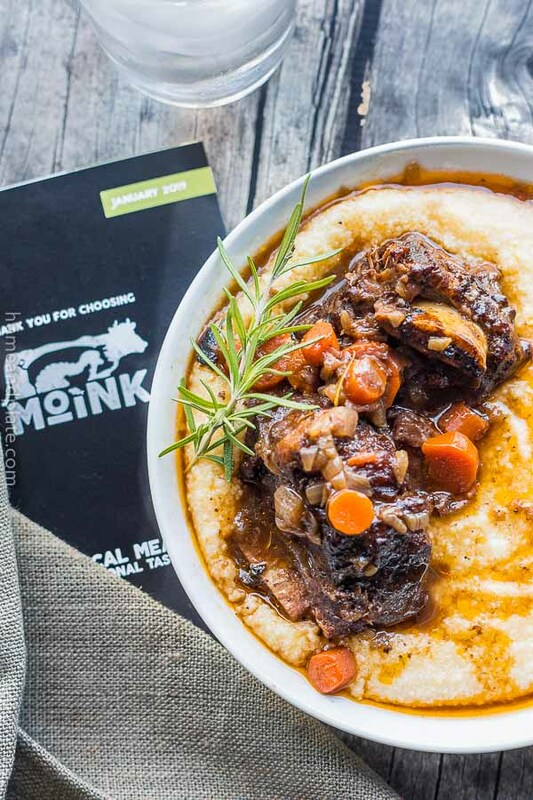 It’s snowing here in Ohio and this soup is the perfect dinner. Thanks Rachel. Pancetta is really delicious in just about everything. Thank you. I hope you enjoy. These bright and beautiful photos make me want to dig right in! I can just imagine tasting the pancetta with every bite! So sweet…thank you. This recipe is a keeper. So yummy!